Freedom of choice, independence, and individuality are traits that characterize our national psyche and values shared by generations of Americans. As we age, new challenges may arise that defy ones notion of how they wish to spend their senior years. Aging brings challenges that require some help, but it does not erase a person’s desire to control his or her own environment, activity, and care. Past generations folded the elderly into the households of grown children, where they offered valuable experience and wisdom, in exchange for family support. A more mobile society, fewer children per family, and dependence on two incomes for financial solvency have made that age-old arrangement between parents and children harder to maintain. When another person enters an already overworked or financially stretched household, resentment, guilt, and fatigue can build on both sides.This damages the parent-child relationship, and jeopardizes the well being of everyone concerned. Similarly, if one partner in a marriage needs greater assistance than the other, the same feelings can develop. A study from the National Association of Caregivers found that the costs of home care average more than $5,500 a year – $400 more than the average household spends on health care and entertainment combined. Grown children and loved ones want their aging parents and partners to enjoy the highest possible quality of life. To achieve this, its better to explore care options earlier; when your loved one’s health is good, rather than later. The healthier they are, the more options they will enjoy; as health declines, so do the options for care. It may feel somehow callus or ungrateful to share the caregiving responsibility with outsiders, but story after story and statistics tell otherwise. According to the National Association of Caregivers, an estimated 34 million Americans provide some care for an older family member. Additionally, 90 percent of individuals who receive home care get most of their help from family and friends. The impulse to care for our own is worthy of respect. Of course we want to show our love and respect for our families, but for some people, home care is the best choice. A loving option for others is assisted living. The Assisted Living Federation of America, the nations leading assisted living association, recently noted that the fastest growing long-term care option in the U.S. is assisted living, because it puts the individual first. Why? The philosophy of assisted living embraces independence, choice, and the opportunity for seniors to live enriching lives. In assisted living, family members are welcome to visit and participate in community life. They also benefit from support services, and knowing that their loved one is receiving the best care possible, and partaking in an active, stimulating lifestyle. This increased quality of life is free of the necessary limits that can come from living with extended family. It does not create work for family or friends, which eases the burden, allowing for a better relationship. In fact it is well documented that older adults who need some assistance with daily living tasks, such as dining, cleaning or medication management, often benefit and thrive from better nutrition, more social interaction, and higher activity levels in assisted living communities. For those seniors who still enjoy better health and greater affluency, freedom and lifestyle can be as important as health care, in choosing a senior living community. After decades of cooking and cleaning for their families, and maintaining their homes, these active seniors may welcome dining, housekeeping, and landscaping services. Senior living communities can offer respite from such chores, and increase free time for fitness, local travel, shopping, and other interests. 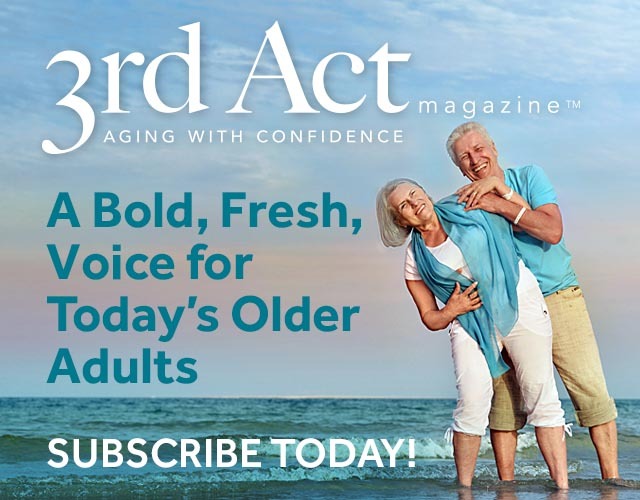 In senior living communities, active older adults continue enjoying private dwellings, control over their own schedules, and freedom to come and go as they choose. Social networking, optional events and clubs, and conveniently located services, such as beauty salons, and banks and technology centers, increase convenience and personal freedom of choice rather than limiting it. Yet, medical, dietary, and other help is available when needed. Grown children can find reassurance that community managers, on-site health care providers, support staff, and friends will help their parents manage the challenges of aging. It is important in todays guilt ridden society to better understand the many options that make up the new face of senior living in the 21st century. Making changes for the better are the standard for better care, and a more vibrant lifestyle. Now, more than ever, loved ones can feel confident that the new choices available are the right choices for everyone in the family.